Sun; it is the most effective and the natural source for health benefits. During winters, everyone likes to soak the sun heat. It makes you relaxed and a warm sensation approaches. Sun rays before 10 a.m are considered as the best thing to cure diseases and to attract a lot of Vitamin D to you. Well, all the pranayama are related to the sun but our present topic is on a Pranayama which is named with the sun. It is “Surya Bhedna Pranayama”. What is Surya Bhedana Pranayama? The name itself is made from two Hindi words “Surya” which means sun and “Bhedna” which means piercing. It doesn’t mean to pierce the sun at all! The name of this Pranayama is derived from the refreshing effect it has on the body. Here, only one nostril is used; most probably the right one. The purpose of the Right nostril breathing is to increase the Pranic energy, the physical energy, to revitalize the body. In this Pranayama, one inhales through the right nostril and exhales by the left. Sit in Padmasana or Sidhasana or cross-legged pose. Repeat this for 4-5 times. You can go according to your efficacy even. This Pranayama brings the body temperature into equilibrium and controls the functions of catabolism. The digestive power is also recharged with this Pranayama. It also soothes your nervous system and fortifies them. By this, the sinuses are also cleared. It purifies the blood and also fortifies your liver functioning. It activates the solar energy which produces warmth and heat in your body. It increases the auto-immune response making it work well. It improves the gas disorder in the abdominal region. It should not be performed if you are suffering from any kind of fever as it increases the heat your body. 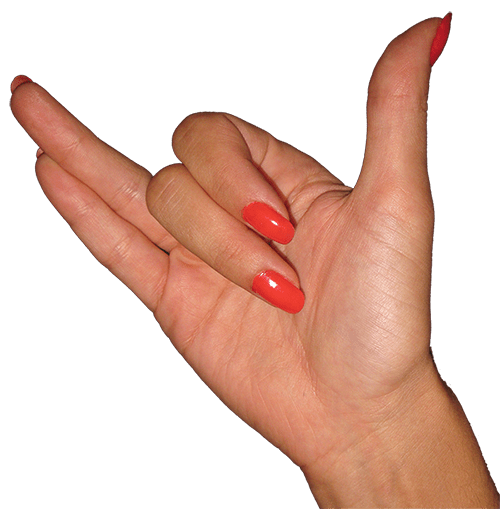 If you currently have diarrhea, please also avoid this pose. People who have high Pitta or acidity should avoid this posture as well. Those suffering from High blood pressure or cardiac complaints should avoid this as well. To extract the maximum benefits, practice this under the proper guidance of an expert. This was the description of Surya Bhedna Pranayama. 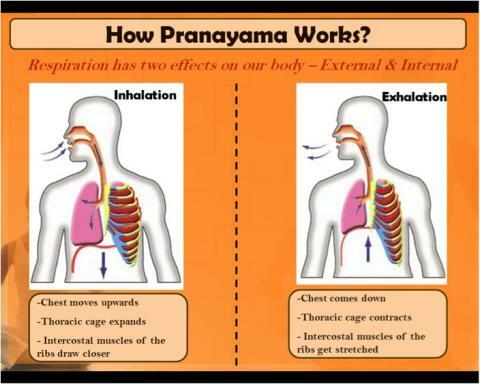 Now, we will be talking about how does Pranayama works. When I perform some Pranayama, one question knocks my mind door- “Why do we perform Pranayama or How does it works?” As a fact, for the complete faith in something a proper scientific cause and reason is required. Now, we will be searching answers about these only. Qn:- How do Pranayama works or What is the actual mechanism behind it? Ans:- First thing, Pranayama is all about the inhale and exhale mechanism. It works with the two only. We inhale Oxygen and exhale Carbon dioxide. As a plastic pipe, needs correct passage and working to stay well; similarly, all our body veins, arteries, and organs need proper Oxygen to stay well and in a working order. The basic cause of diseases is lack of oxygen in the particular organ. That is why in most of the therapies correct breathing or Pranayama is advised. As with all other Pranayamas, this Surya Bhedna pranayama must be performed on a regular basis. This takes very few minutes but gives the most precious thing which is “Good health”. So, take care and live well! I read somewhere that the surya bhedna pranayama is good for anxiety, depression and other mental diseases. However, somewhere else i read that the chandra bhedna pranayama helps in activating the parasympathetic nervous system. I am a bit confused. Can you please help?